Mr. Alex has a post-graduate diploma in Geo Information Science and Earth Observation from Ardhi University of Tanzania jointly with University of Twente- Netherlands. He also has BSc in Environmental Studies (Management). Alex starget working with IHI in 2009 as Field Supervisor from the Malaria Transmission Consortium, MTC project. He has been doing geographical data collections and mapping in Urban Dar es Salaam. Alex joined Outdoor Mosquito Control project in 2013, with the main task of developing and testing new exposure-free tool known as “M-Trap” for sampling outdoor mosquito. He later joined Home-Based GIS project, where he was collecting different environmental and anthropogenic features that are probably associated with mosquito abundant in different settings in rural, peri-urban and urban settings. He’s currently involved in a project which aimed at comparing the effectiveness of six different outdoor mosquito traps in relative to human landing catches (HLC). The main target is to come up with a device which can be effective and consistence in sampling different mosquito genera. 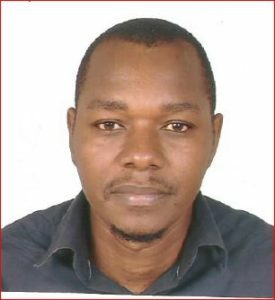 He specializes in Geoinfomation science and earth observation and he has experience on GIS application for health in Tanzania, He’s also providing GIS support in different projects within IHI.